Sure he’s not looking quite as old as his ancient co-star Professor X did, but here is our first look at the third Wolverine movie’s Logan, looking even more worse for wear than usual. A few years of getting beat up over and over again will do that to you! 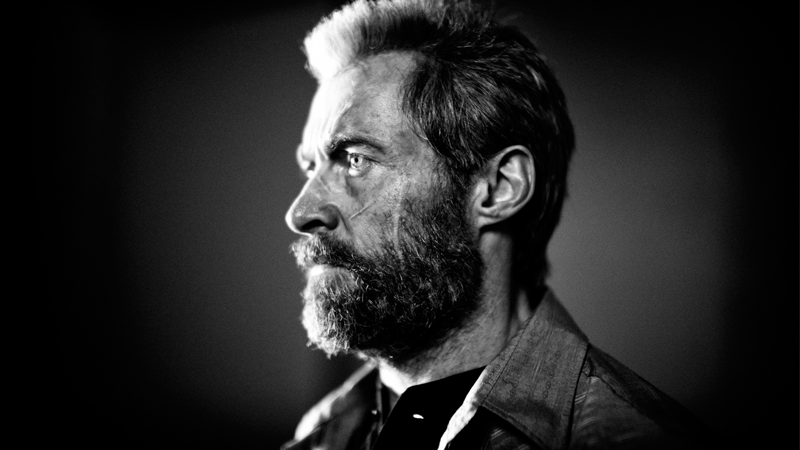 Revealed by director James Mangold on Twitter today, the portrait of Hugh Jackman reveals a Logan that certainly doesn’t look as old as the Old Man Logan of the comics. Presumably that mutant healing factor is keeping the ravages of time from having too much of an impact. But it’s not keeping him totally unscathed, as we can see a few scars and wounds that haven’t fully healed on his face. The recently released page from the film’s script indicated that in the grim future of Logan, where Mutantkind is slowly dying out, Wolverine’s healing factor has degraded to the point where he can be seriously injured, leaving him in “a constant state of chronic pain.” Presumably these scars are just the start of that. Logan is set to hit theaters March 3, 2017.